Died: 18th May 1918; age 24; KiA. Date of Entry Therein: 27th May 1915. Rank: Bombardier/Fitter; Service Number: 87610X. 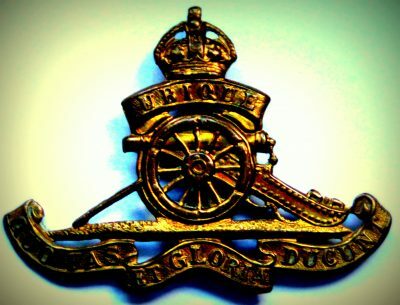 Regiment: Royal Field Artillery; 18th Trench Mortar Battery. Relatives Notified & Address: Son of Henry & Alice Barber. 1901 23, Croft Street, Ipswich. Walter was 6 years old and living with his parents & brothers. Harry Barber, 39, a Railway Engine Driver, born Ipswich. Alice Barber (nee Smith), 38, born Marks Tey, Essex. Arthur Robert Barber, 9, born Parkstone, Essex. John Thomas Barber, 4, born Parkstone. George William Barber, 10 months, born Ipswich. 1911 23, Croft Street, Ipswich. Walter was 16 years old, an Apprentice Turner – General Engineer. He was living with his widowed father, brothers & cousin. Harry, 49, a, Engine Driver – G.E.R. Arthur, 19, an Aprrentice Carpenter – Loco Depot G.E.R. John, 14, an Apprentice Turner – General Engineer. Ella Barber, 27, the Housekeeper, born Ipswich.